I am pleased to introduce my next guest, Thomas Allen of Free Affirmations. Thomas first starting using affirmation as a young man of 17 years. With consistent practice, he observed the power they held as a catalyst for his transformation from a shy teenager into a confident, assured, successful man. Thomas has been using affirmations for over thirty years and has enjoyed an early retirement. He noticed that there were not many sites that offered quality free affirmations which led to the creation of freeaffirmation.org. This is a guest blog post about the power of positive affirmations, and gives a quick introduction to how you can use them with some examples. Visit http://www.freeaffirmations.org, you will find a great tool that you can use to empower yourself and to reassure yourself in all aspects of your life. 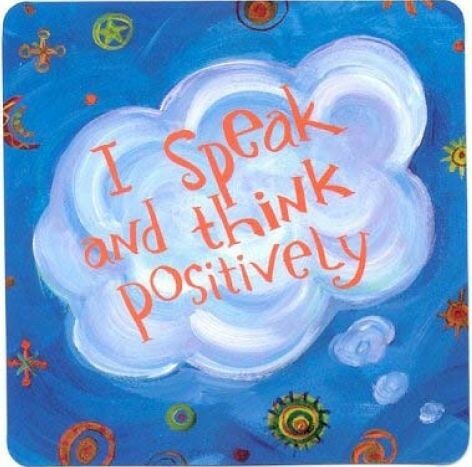 They have been proven to be effective for many people from all walks of life, of all ages, and from all around the world, but first..
A positive affirmation, to put it simply is just a phrase you repeat to yourself over and over again to affirm something to be true. For example: “I am naturally confident, I am naturally confident, I am naturally confident” – this would be a very short, simple affirmation you would use for, yes, you guessed it, improving your confidence. Through repetition, you will begin to convince yourself that the affirmation you are repeating is, in fact, the truth. It is just the reverse of being told something negative over and over – perhaps when you were a child you received some negative feedback which stuck with you.. well this is the opposite, it is you taking control of your own mind in a positive way. You are positively reinforcing positive beliefs and behaviors and in time they do become true, you start to believe them and they simply become a part of who you are! That’s right, theres not really that much more to it – positive affirmations are a simple tool which anyone can start to apply themselves, for free, from the comfort of their own home. They are often overlooked as people search for that magic pill, that instant solution, the “more powerful” method.. but they really do work – if you stick with them then you really will see a change and quite soon too! Nothing is instant, we would like it to be but we all know it doesn’t really work like that – especially when you are talking about the mind and making lasting changes on a deeper level. However it is possible to see some results quite soon (if not instantly) with positive affirmations – within 1-3 sessions you should notice a positive feeling after your session. You should feel energized, positive and happy, you might catch yourself smiling to yourself and feeling “ready to go” and face the world, tackle your problems and pursue your goals. However, the real results more typically show after 2, 3, even 4+ weeks. I’m talking about real results where you know you have changed.. and lasting results! Everyone is different so some people see results sooner and some longer, and it depends on what you are using the affirmations for, how experienced you are, and how much of a “big problem” the issue you are trying to overcome is for you, but generally everyone should see some positive improvement within 2-4 weeks. I hope you have enjoyed this simple introduction to affirmations and I hope it has sparked your curiosity.